A 2011 research update from the National Highway Traffic Safety Administration reports that 130 school-age pedestrians lost their lives in school-transportation crashes since 2000. 67% of victims were hit by school buses. 6% were struck by other vehicles that were in use as school buses. 27% of victims were in other vehicles involved in the accidents. 57% of the school-age pedestrians who lost their lives were between 5 and 7 years old. The thought of an innocent child hurt in a school bus accident is enough to distress any parent. But across the U.S., school buses transport as many as 25 million children daily. Even though school systems and bus drivers take part in safety programs and other initiatives that work to make school bus transportation as safe as possible, the bottom line is that accidents still happen. If your child has been hurt in a school bus crash, you need to understand your rights and the options available to you. Associates and Bruce L. Scheiner, Attorneys for the Injured, have Fort Myers and Naples school bus accident attorneys on staff to answer your questions when a bus crash has left your child hurt. Across Southwest Florida, our firm has become synonymous with community and law enforcement programs that work to improve safety on our roads. Perhaps because Mr. Scheiner and his wife worked together to establish our firm nearly 40 years ago, Associates and Bruce L. Scheiner is a firm that has a special bond with families. In fact, the Scheiners still work side-by-side, along with their son, Associate Attorney Preston Scheiner, to serve those who have been hurt in accidents. Our Fort Myers and Cape Coral bus accident lawyers know that the serious injury or loss of a child is the most painful event a family can endure. Federal government figures tell us that an average of 19 children die in school-transportation-related accidents every year in our country. In 2009 – the most recent year for which figures are available – 89 school buses were involved in fatal crashes. Here in Florida, a total of 12 people lost their lives that year in school bus-related crashes. While most of us think of school buses as being the traditional big, yellow vehicles we see frequently on our streets, some school systems use vans or other types of vehicles to transport school-age children. Our Naples and Cape Coral school bus accident attorneys know that safety records of smaller vehicles may not be as good as those of larger buses. We also recognize the fact that visibility of smaller vehicles also may not equal that of bigger, traditional school buses, perhaps contribute to accidents. Our Fort Myers personal injury and wrongful death lawyers understand that any motor vehicle accident can happen for a variety of reasons. When it comes to school buses, research has found that accidents most commonly happen when buses crash into fixed objects or other vehicles. Buses can injure children by overturning, and injuries and fatalities have been reported when children fall from buses. Fort Myers school bus accident attorneys at Associates and Bruce L. Scheiner, Attorneys for the Injured, also know that drivers can be at fault in school bus crashes because they’ve failed to pay close attention to the road, become distracted, or drove while impaired by alcohol or drugs. When dealing with the aftermath of a school bus accident, your family needs experienced legal advice. You also want the assurance that your attorney has the skills needed to prevail against insurance companies, school systems, or other responsible parties. Our firm offers you a free consultation to discuss your rights. If you are unable to come to our offices, we will meet with you at your home or in your child’s hospital room. 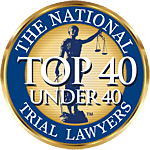 When Fort Myers and Naples residents demand the best in legal representation, they call on Associates and Bruce L. Scheiner, Attorneys for the Injured. You pay us no fees unless we win.